Taiwan's AUO (AU Optronics) was formed in 2001, by the merger of Acer Display and Unipac Optoelectronics. Later in 2006 AUO merged with Quanta Display. 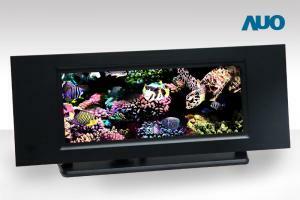 AUO is the world's number 3 manufacturer of TFT-LCDs, and also produces OLED display in low volume. AUO has an active micro-LED R&D project, and in 2018 it demonstrated what it claims to be the world's largest TFT-driven full color Micro-LED display prototype at 12.1". At IFA 2018, AU Optronics demonstrated a 12.1" full-color TFT-driven micro-LED display prototype. The display features a resolution of 1920x720 (169 PPI). The micro-LED chips are less than 30 um in size. 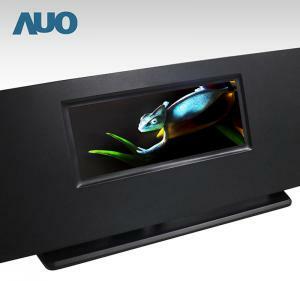 The new AUO display uses blue LEDs with color conversion, which achieves "marvelous color performance", according to AUO. This is similar to the 8" 169 PPI display AUO demonstrated only three months ago at SID 2018. Digitimes posted an interesting article, stating that AU Optronics is set to adopt mini-LEDs in its LCD display backlighting units in 2018 (mostly for higher-cost applications such as gaming notebooks and professional displays). The company, however, still sees many challenges towards the commercialization of micro-LED displays. AUO's chairman and CEO, Paul Peng, estimates that Micro-LED will still be in the development stage in 2018-2019, and while we will starting seeing many prototypes and even product samples, real commercial displays will take longer to appear. Peng says that Micro-LEDs, with their higher cost, will initially be adopted for AR and VR devices which will enable to pay a premium for the advantages over OLEDs (resolution and efficiency, probably).